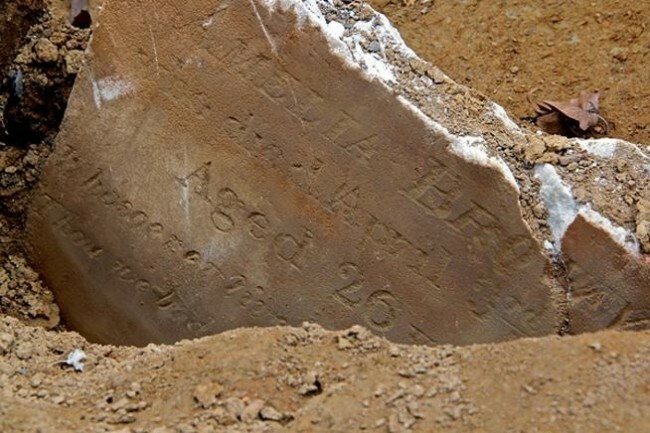 Eighteen-month-old Mary Jane Coursey died this date, June 13th, in 1854 and was buried at Bethel Burying Ground. Eighteen-month-old Mary Jane Coursey died this date, June 13th, in 1854 of “Convulsions” and was buried at Bethel Burying Ground. The convulsions were only a symptom of the underlying disease that afflicted the child. Mary Jane could have suffered from a high fever, epilepsy or meningitis that all would have caused convulsions. Likely, the convulsions were from teething considering the child’s age. Nineteenth-century medical reports state that infants were more prone to disease at the time of teething. Often, teething was reported as a cause of death in infants. Perhaps they became susceptible to infections when lancing was performed. Another explanation of teething as a cause of death is that infants often were weaned at the time of teething; perhaps they then died from drinking contaminated milk, leading to an infection, or from malnutrition if watered-down milk was given. birth to another child (Ellen M. ) around the time of Mary Jane’s death. Mr. Coursey was born in Maryland, while all the other family members were born in Pennsylvania, according to the Census. Little Mary Jane Coursey was buried on a hot humid afternoon on June 14, 1854. At noon, the thermometer stood at 84 degrees with cloudy skies. Within two days, the temperature would rise to the mid-90s.